Snow fell last night on the Kaimanawa Range and Mount Tongariro Mount Ruapehu. 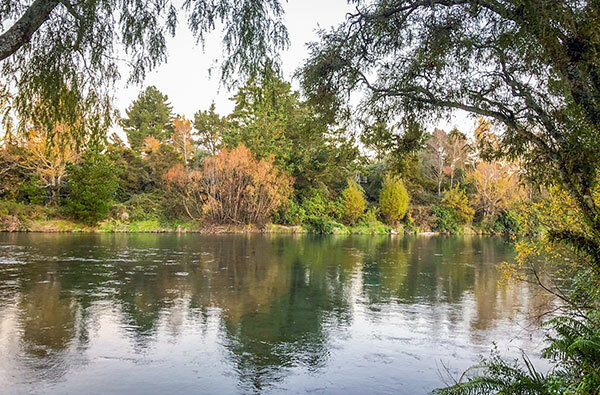 The Tongariro river certainly is clearing slowly after the cold front hit Turangi late last week with the Tongariro river running with a slight hint of green today and should be clear in the morning. Nice trout were taken using wet fly streamer. 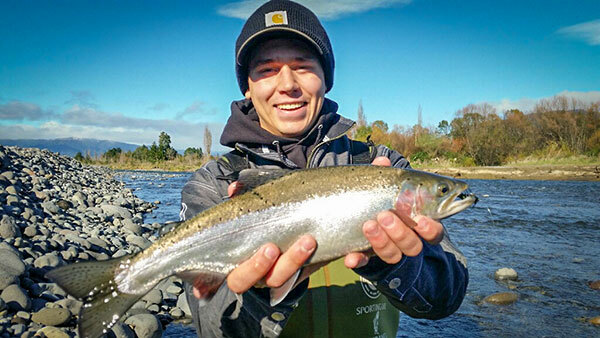 Josh first time fishing Turangi fly fishing Tongariro river caught his first rainbow trout on streamer wet fly. 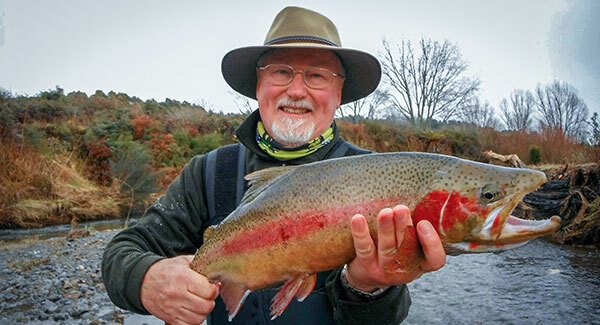 David Reid Kiwi living in Sydney returned home after 40 years to fly fish the Tongariro river in Turangi. 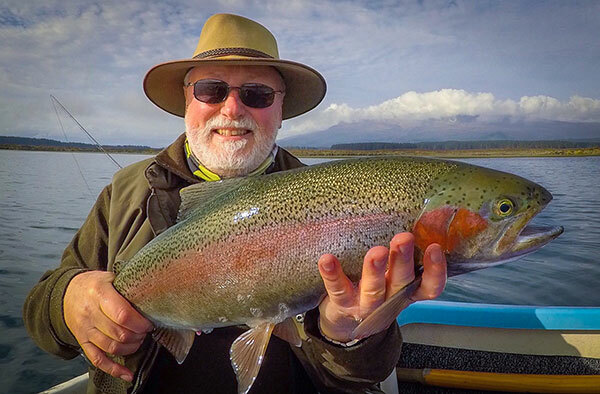 Fishing wet fly shooting head David caught some very nice rainbow trout. Two fish taken on same day from the same pool, display the spectacular colour range of mating rainbow trout. 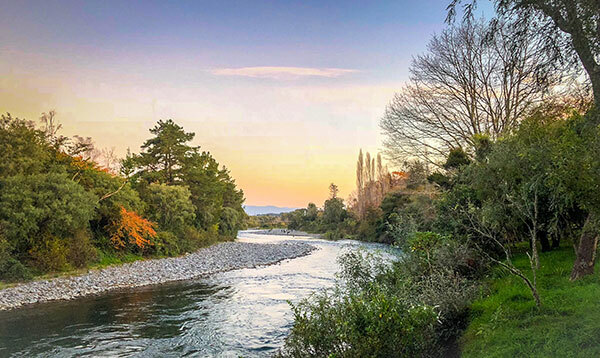 Tongariro river and others have cleared after the weekends flood. So it should be lock stock and barrell from this point onwards as we slowing go into winter mode. 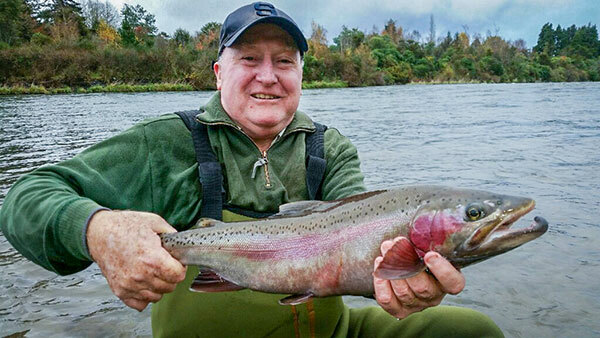 Fresh rainbow and brown trout arrive up the rivers from Lake Taupo on their annual spawing run. 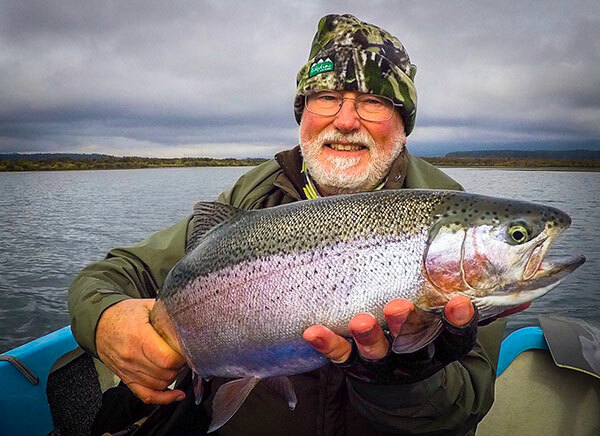 Julian Cribb from Canberra Fishing Turangi Lake Otamangakau caught some very nice conditioned and suppurb eating rainbow trout. Calm condition with light northerly breeze. 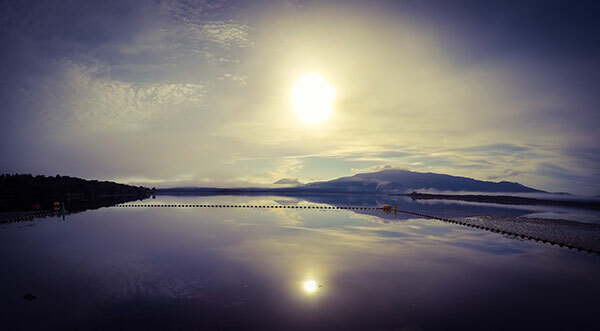 Glassy smooth surface on Lake Otamangakau. 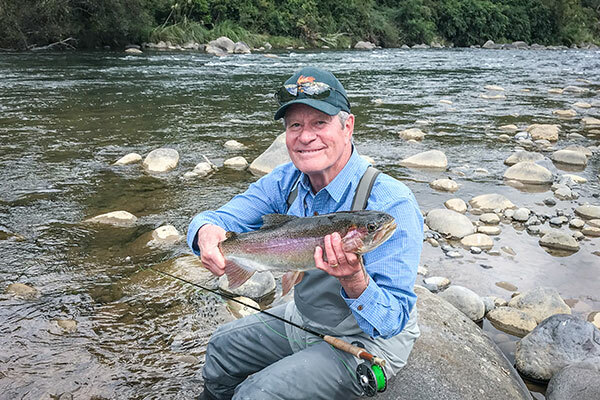 Bob holding a rainbow trout. Thanks to you we had a great time on our trip to NZ Trout fishing Turangis rivers and streams. fly fishing we caught rainbow ad brown trout with dry fly and nymphs .... Hope this finds you well. 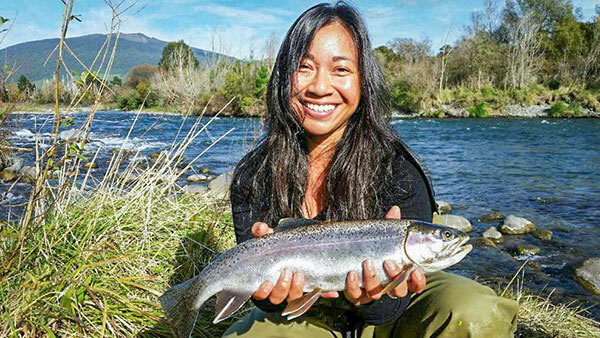 Amanda from Colarado first time fly fishing in New Zealand stay at the Oasis in Turangi. Amada caught her first ever rainbow trout from the mid reaches of the Tongariro river fly fishing Turangis Tongariro river using may fly nymphs. Amada and Mike headed to Raglan for their last day in New Zealand and loved it so much promised they'll be back. Fishing Turangi Tongariro river down stream from main road bridge. With no frost at all in the Turangi area we certainly have had some nice Autumn weather with sunny days and little wind Turangi's rivers the Tongariro River, Tauranga Taupo, and the Hini, are all holding fresh fish with some fantastic fresh good condition rainbow trout caught nymph fishing and wet fly. 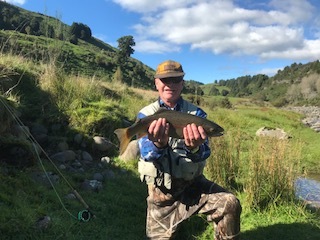 The Tongariro river is still producing some large brown trout to lucky anglers. 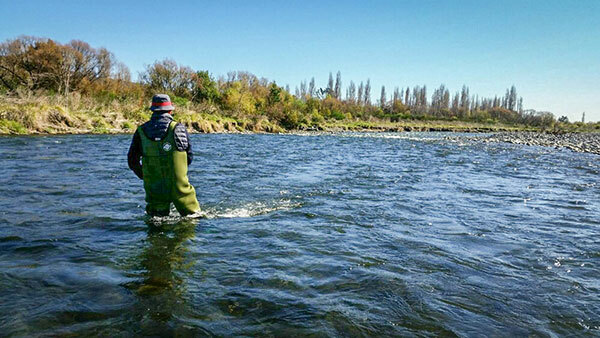 All river and stream mouths around Lake Taupo are fishing good with trout waiting for the right conditions to make their spawing run . Lake Taupo fished very good for the school holiday makers with some top condition trout taken jigging and trolling ..